The G-Plan brand was a household name in the 1970s and the firm's mix of good design, quality and reasonable, but far from cheap, prices made G-Plan the brand people wanted to own. However, a conservative design policy meant that G-Plan had an increasingly aging clientele. By the end of the decade, the typical G-Plan buyers were likely to be older couples replacing their G-Plan suite bought a decade or two earlier, rather than newly weds furnishing their first home together. 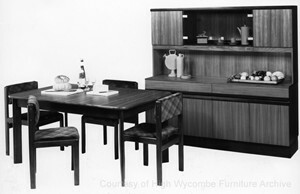 G-Plan was so successful that nearly every retail stand at the 1970 Ideal Home Exhibition featured G-Plan furniture. 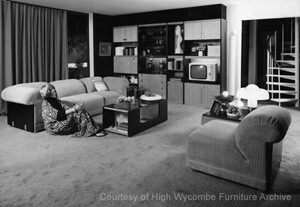 The luxurious looking G-Plan furniture was affordable to some and aspirational for many. Gomme's turnover and profits rose substantially in the early years of the 70s. Gomme continued to add to and improve the highly successful Fresco range. G-Plan was meant to stand for design and the firm launched several new ranges in the 1970s. Some featured modern style unit furniture with smoked glass and hidden lighting. However, Gomme never followed the trend for pine furniture that was becoming increasingly popular in the 70s, nor the ultra modern tubular steel look. They must have looked with envy at the Stag Minstrel range which was still selling well and had a loyal band of followers always willing to add new pieces. 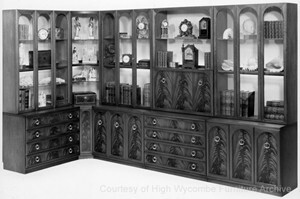 Gomme made a couple of attempts at Minstrel-like furniture, both with Foresta in the bedroom and Arcadia in the dining room; neither were long lasting. Gomme had an attempt at another 1970s' craze, bamboo furniture. Their 'Thai' coffee table of 1978 missed the mark by a mile; it was machine made and securely held together with bosses rather than bound with vines. G-Plan used to lead the way in innovation and design, but had lost its touch by the end of the decade when over sixty percent of G-Plan customers were over forty-five years old. However, today's collector will find that Fresco furniture from the 1970s is just as good as that from the 1960s and gives many more options, including wall storage units and a choice of tables, sideboards and dining room chairs, as well as wardrobes and dressing tables. All of which were well made and finished in teak veneer. Features: Teak finish, sculptured handles. 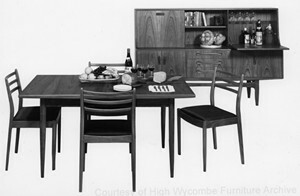 Fresco remained G-Plan's main range of furniture throughout the1970s. Gomme added many new pieces to the range. One the biggest editions was a range of Fresco wall units, new sideboards and new dining chairs. The circular dining chairs from the original Fresco range were dropped in the 70s. The image at the top of this page shows the new style Fresco furniture introduced for the 1970s. Compare this with the 1976 group, featured just above right. The 1970 group shows a continuation of the original 1960s range, whereas by 1976 Fresco is starting to take on the look of the 70s. The pine dresser was a popular piece in middle class homes in the 70s; this Fresco dresser is trying to get the look. See also how the chairs have evolved from the original ones, with heavier frames, more organic than modernist. For more information see G-Plan Fresco. Features: Metal handles, concealed lighting, smoked glass. The Libretto range was a significant departure. The wall units were finished in the exotic pale wood, seen in contrast to the dark walnut finish of the dividing panels. Some of the doors were bronze tinted glass. Bronzed, or more commonly smoked, glass was a feature of mid-seventies' furniture design. Several firms featured smoked glass windows in wall units. The smoked glass coffee table became a standard accessory in a 'seventies home. The Libretto range also included unit seating. These chairs had low, rounded backs and square, flat seats. They came either without arms, or with a right or left arm. Gomme dropped Libretto in the second half of the 1970s. Features: round shaped brass handles. Arcadia, as the name suggests, drew inspiration from the past. It was a range of dining room and upholstered furniture finished in mahogany veneer. There was a feel of antique Georgian furniture to the range. However, being modern furniture from the 1970s, Arcadia included wall units. Montage was a short-lived range and disappeared in 1980. Features: Flush panels with concealed handles; concealed lighting. 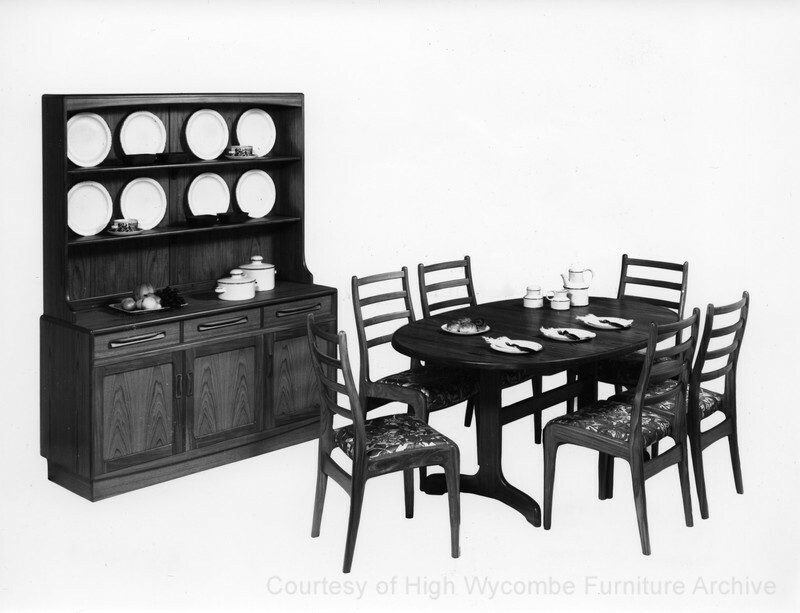 Gomme also introduced a new dining range, 'Montage' in 1977/8. It was finished in teak, plain and simple, but the treatment was heavier and unmistakably late 70s. Montage was a short lived range and disappeared in 1980. Features: oval shaped metal handles. Gomme's new bedroom range for 1978 was 'Foresta'. The G-Plan brochure talked about Italian provincial style, but Foresta bore more than a passing resemblance to Stag's successful Minstrel range. It was finished in American cherry. The new dressing table had an inlaid brass image of a Japanese flowering cherry. The traditional style of the range had an appeal to the older buyer. 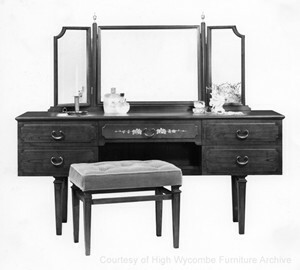 "I have the G Plan Foresta american cherry dressing table with stool that I bought in 1978 ish as pictured on here. "Hi there - I have a G Plan large sideboard and the bottom of the drop down drinks cabinet door has cracked as the stays gave way! Can anyone tell me how the hinges were fitted? If they are removeable? And if the door is repairable? There is no evidence of hinges on exterior and I am worried they were concealed before veneers were applied. OR perhaps a magnet releases them?